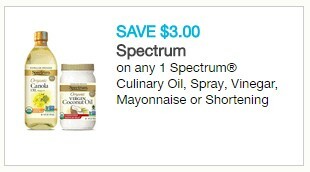 There is a new, very rare $3.00 printable coupon for any Spectrum culinary oil, spray, vinegar, mayonnaise or shortening. Two prints per computer. Here are some of the ways to redeem this high-value coupon on Spectrum items at Whole Foods. You can find also Spectrum items at Sprouts, Kroger affiliates, Target, Walmart, etc.. 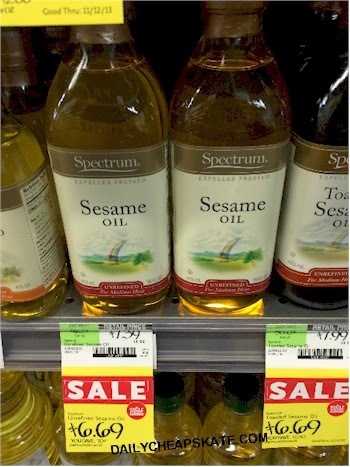 Whole Foods has Spectrum Unrefined Sesame Oil for $6.69 - $3.00 = $3.69. 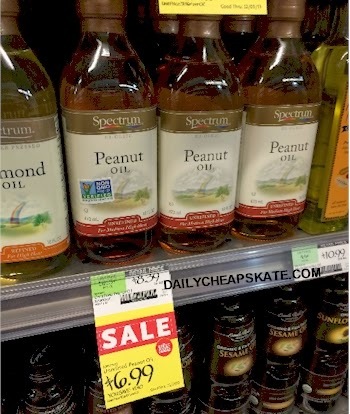 Whole Foods has Spectrum Unrefined Peanut Oil for $6.99 - $3.00 = $3.99. 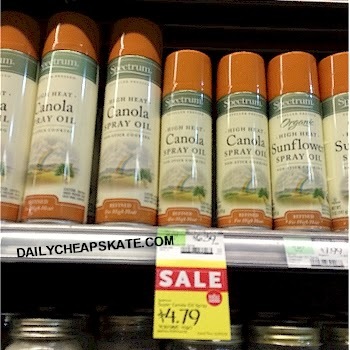 Whole Foods has Spectrum High Heat Canola Spray Oil for $4.79 - $3.00 = $1.79. 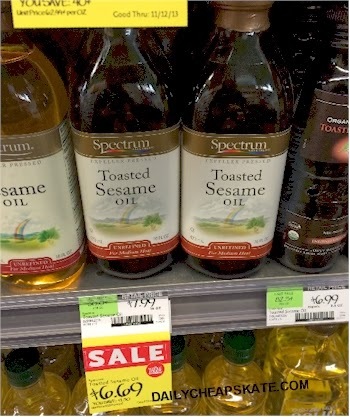 Whole Foods has Spectrum Unrefined Toasted Sesame Oil for $6.69 - $3.00 = $3.69. 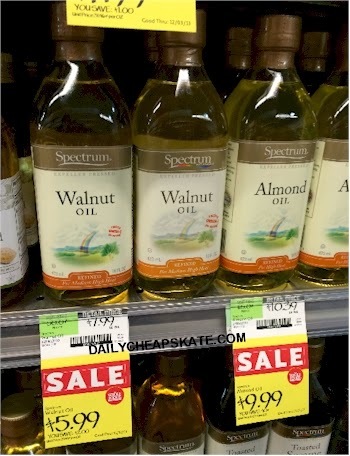 Whole Foods has Spectrum Unrefined Walnut Oil for $5.99 - $3.00 = $2.99. 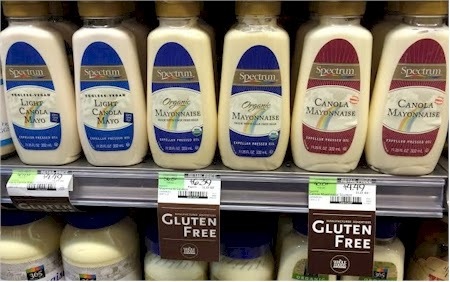 Whole Foods has Spectrum Canola Mayonnaise 8 oz. tubes for $4.49 - $3.00 = $1.49. 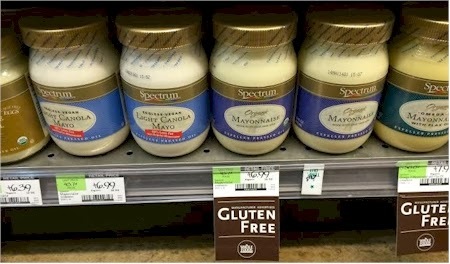 Whole Foods has Spectrum Organic Olive Oil Mayonnaise 15 oz. jars for $6.39 - $3.00 = $3.39.